Life is a collection of moments; make the most of it with an intimate candlelight dinner in the company of your beloved. 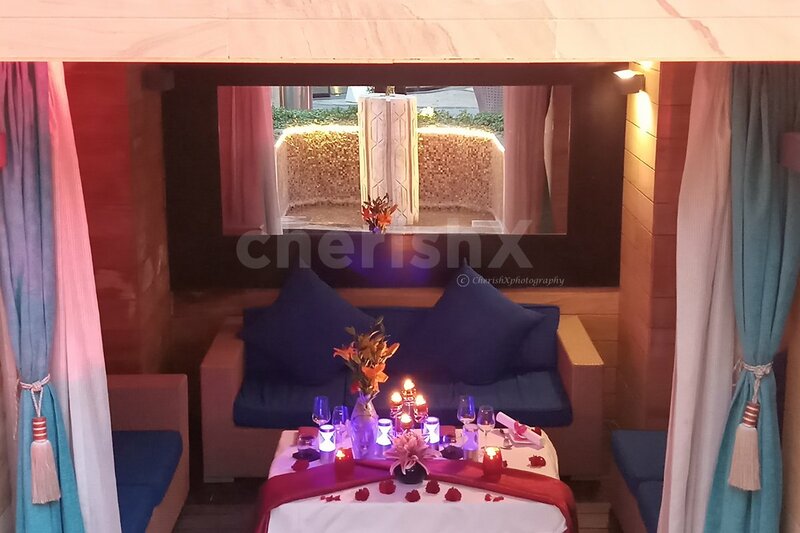 Exuding 5-star hospitality, romantic ambiance and finger licking food this private dining will be a great way to celebrate small moments of happiness and make new memories. This experience is designed for you to leave behind all your worries for a night and dine in an utterly beautiful setup at the stunning property. A room boasting of love, your dining area is set in a private space so you spend a lovely evening discussing about life and future with your partner. 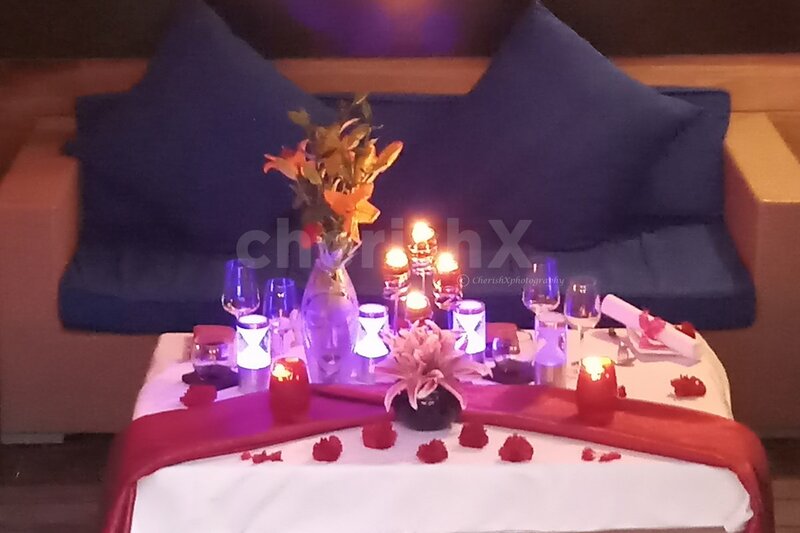 We are sure that your date will be highly impressed with you for your choice of such a tasteful candlelight dinner. Your venue is conveniently located on Tonk road which is 20 minutes away from the Airport. 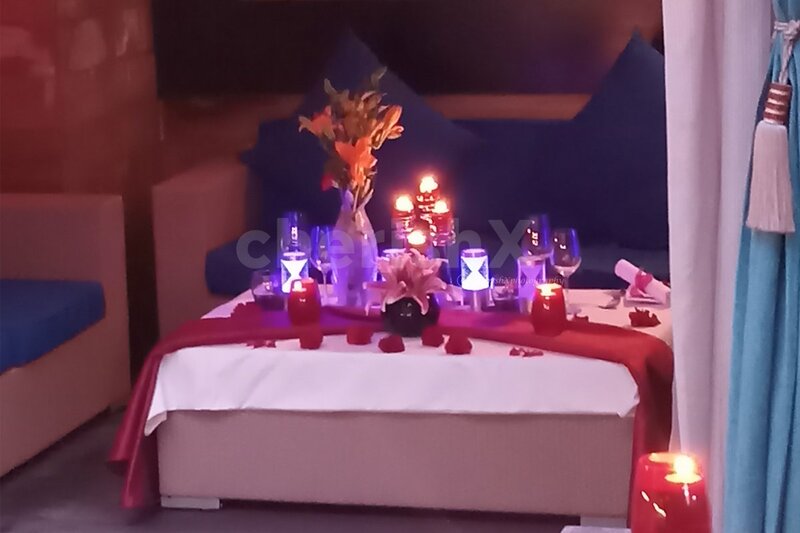 Being our cherished customers you get to enjoy prompt service and welcome drinks as you settle at your table. Following this will be lavish starters, main course and desserts from a specially set 3 course menu with Indian and International cuisine. If you want to add finer details like cake, flower bouquet, private guitarist, fret not. Just add these customizations with us in just few more clicks!